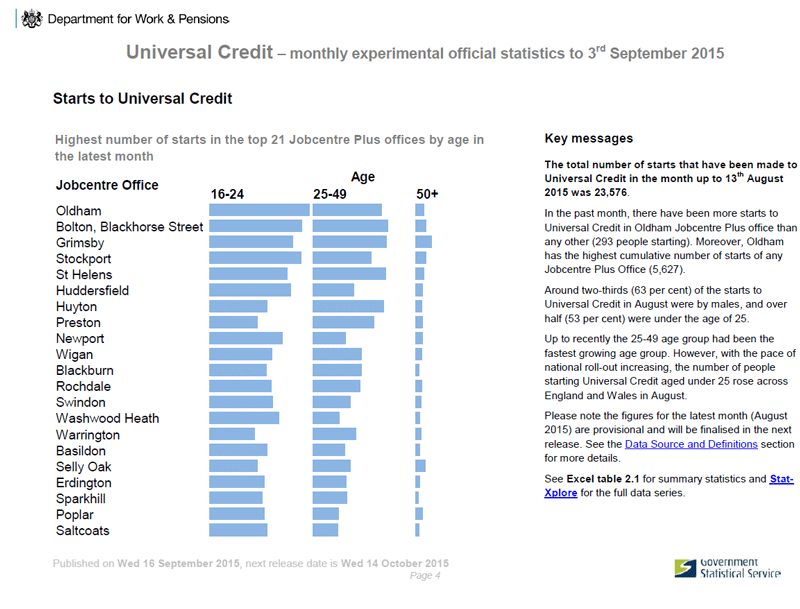 Oldham continues to top the universal credit claimant figures in the month to August 13th with the highest number of new claimants. Figures also released today show that in July 2015 the average weekly pay for the wholesale, retail, hotels & restaurants sector was £138 lower than the weekly average pay in any other employment sector. Hotel Future, Prince’s Gate, and the Town Hall Cinema will eventually deliver in the majority more jobs in this lowest paid of low paid job sectors; continuing Oldham’s reliance on huge sums of supplementary benefit payments & creating decades of PFI and other loan debts.